SORRY NOW SOLD. MORE REQUIRED. ONLY 16 MONTHS OLD WITH 12,000 MILES & 1 PRIVATE OWNER + FREE SERVICE PACK TO OCTOBER 2018. MASSIVE SPEC EXAMPLE finished in Sapphire Black Metallic with Coral red/black leather & brushed aluminium interior trim. 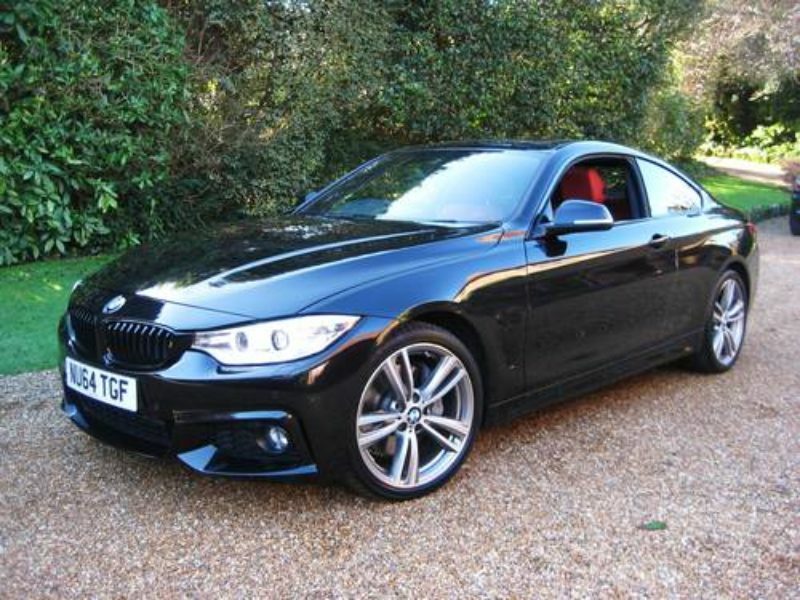 Optional specification includes electric tilt & slide glass sunroof (very rare), BMW professional multimedia navigation system, enhanced Bluetooth telephone preparation with USB Audio interface & voice control, real time traffic information, BMW online services with information plus & remote services, Harman Kardon loudspeaker system, speed limit display, full black panel display, electric folding & auto dimming mirrors, adaptive headlights with high beam assistant, adaptive M Sport suspension, sport automatic transmission, sun protection glass, air breather in body colour, 19″ M double spoke alloys, fitted BMW carpet mats etc. Cost new circa £48k with £7k of optional extras. Supplied new by Cooper BMW Teeside with free service pack to October 2018 + now with remainder of manufacturers warranty. Complete with owners book pack + both remote keys.